24alife world-class wellness programs are developed in collaboration with Mayo Clinic, ranked No. 1 hospital in the USA. Programs are validated, scientifically proven, and evaluated by Mayo Clinic experts. Improve your resiliency, enhance your quality of life, and decrease your stress and anxiety. Total Body Workout is a program with high-intensity interval training. Following this program will drastically improve your physical condition and make a big step towards better physical appearance and feeling better. The 12 Habits of Highly Healthy People is a program carefully designed to implement meaningful and permanent habit changes at any age, and every stage of life. The program was developed by Dr. Kerry Olsen at the Mayo Clinic and the aim of this program is to teach you about living life fully and well. All Mayo Clinic content within our application will be regularly updated and improved. 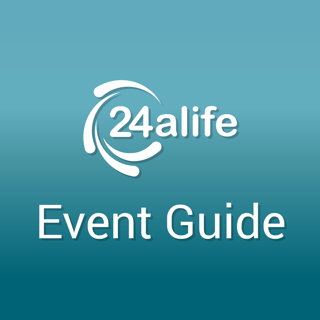 24alife offers certain Service enhanced features which can be purchased as a non-consumable, yearly or monthly subscription. Payment will be charged to iTunes Account at confirmation of purchase. The price of any Product is the price in force at the date and time of viewing. Auto-renewable subscription automatically renews unless auto-renew is turned off at least 24-hours before the end of the current period. The account will be charged for renewal with the amount determined for the service subscribed within 24-hours prior to the end of the current period. Subscriptions may be managed by the user and auto-renewal may be turned off by going to the user's Account Settings after purchase. Description and amount of individual additional 24alife service or functionality will be displayed before every purchase. Any unused portion of a free trial period, if offered, will be forfeited when the user purchases a subscription to certain Service, where applicable. Fix a crash occurring after saving a weight measurement. Great app to track heart rate, GPS, meals, and achieve whatever goal you set. © EMG of Rochester, Inc.